Virtu Financial has seen its buy-side clients increase as a result of the impending MiFID II regulation. Virtu Financial has European buy-side firms lining up for its market making and technology services ahead of MiFID II, according to chief executive officer Doug Cifu. On the firm’s fourth quarter earnings call, Cifu explained European regulations is bringing the firm closer to the buy-side, with rules over unbundling making the market maker increasingly enticing for asset managers. “The European approach of requiring unbundling of agency services as mandated by MiFID II will only make our non-conflicted routing capabilities more attractive to the buy-side. Non-bank market makers, such as Virtu Financial and Citadel Securities, could see a significant boost in competition as a result of MiFID II. Citadel Securities, which has been expanding its European market making capabilities, also believes MiFID II’s open access rules will open the gateway for the firm. 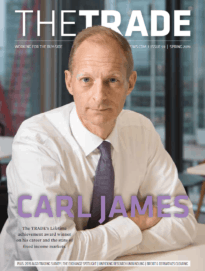 “When we talk about whether non-bank firms will have a greater role in market making post-MiFID II, we are no longer speaking in theoretical terms, it is now reality,” said Paul Hamill, global head of fixed income, commodities and currencies, for Citadel Securities, in an interview with The TRADE last year. MiFID II is causing buy-side firms to radically rethink their traditional trading models with banks, with high-frequency trading (HFT) firms and non-bank market makers becoming more attractive. According to reports last year, Virtu began talks with German $260 billion asset manager Union Investment, in which it would execute Union’s trades on an agency basis in Europe. 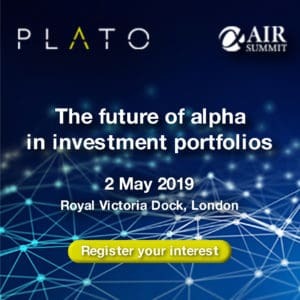 “MiFID II rules aim to unbundle research and execution costs and will encourage buy-side firms to consider alternative execution providers to bulge-bracket brokers. These changes are giving high-frequency trading firms an opportunity to extend the use of their technology to agency trading,” says Anish Puaar, European market structure analyst, Rosenblatt Securities. A spokesperson for Union Investment could not be reached for comment at the time of print. Cifu added on the earnings call that the firm has ramped up its team with hiring and implementing technology to deal with the influx of new buy-side clients. “What we have discovered is that we are a great financial technology company that really understands market structure because we have to make markets in these markets,” he said.